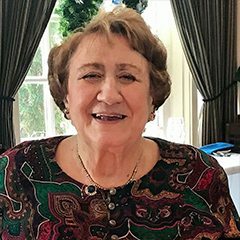 On Thursday, December 21 at 3:00 pm, the well-known Cleveland piano pedagogue Olga Radosavljevich will be honored with an 80th Birthday Concert in Kulas Hall at the Cleveland Institute of Music, where she has taught for nearly six decades. 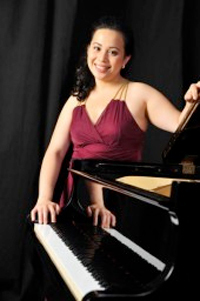 The free event will feature performances by some of her many students, including Cicilia Yudha, who studied with “Miss Olga” for eight years in the Young Artist Program, and now serves on the piano faculty at Youngstown State University. 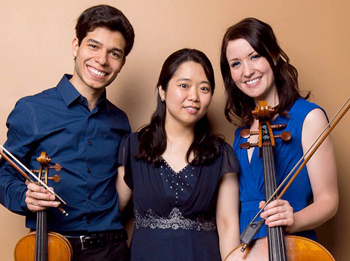 On Sunday October 4 at 3:00 pm in Pilgrim Congregational Church, Arts Renaissance Tremont (ART) will present its season opening concert with a performance by the award-winning Autana Trio, Yuri Noh, piano, Rubén Rengel, violin, and Anna Hurt, cello. 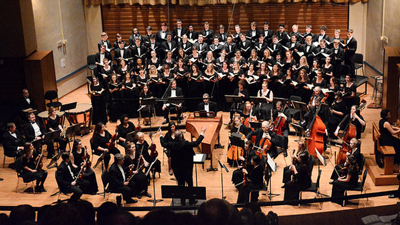 The program will include Ludwig van Beethoven’s Trio in B-flat, Op. 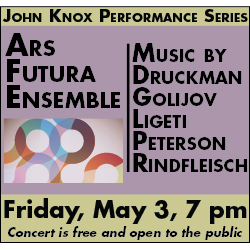 97 (”Archduke”) and Dmitri Shostakovich’s Trio No. 2 in e, Op. 67. 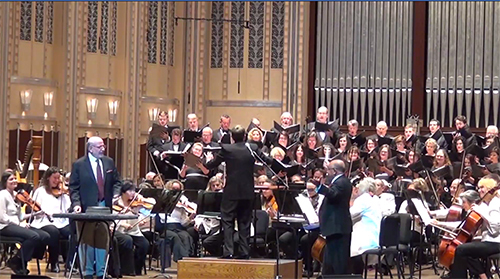 Arts Renaissance Tremont crowned its 23rd season at Pilgrim Church Auditorium on Sunday afternoon, April 27 with an excellent concert of music for winds and piano featuring Cleveland Orchestra members Mary Lynch, oboe, Robert Woolfrey, clarinet, Barrick Stees, bassoon and Richard King, horn, with Youngstown State University faculty member Cicilia Yudha, piano. 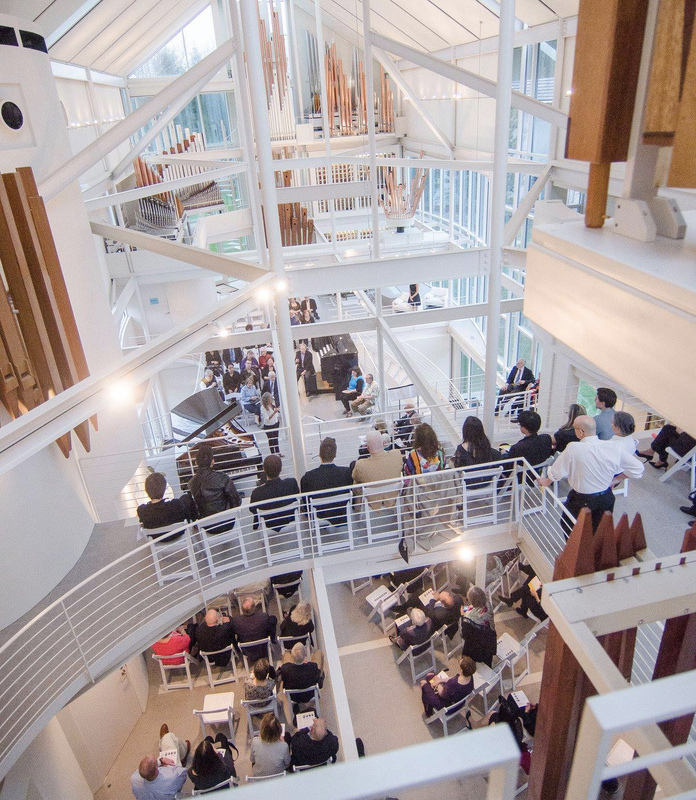 A new Yamaha concert grand piano was the sixth performer. Planning a full-length concert of wind music can be tricky. The ear can grow weary no matter how fine the playing (and wind players can get tired for their own reasons). 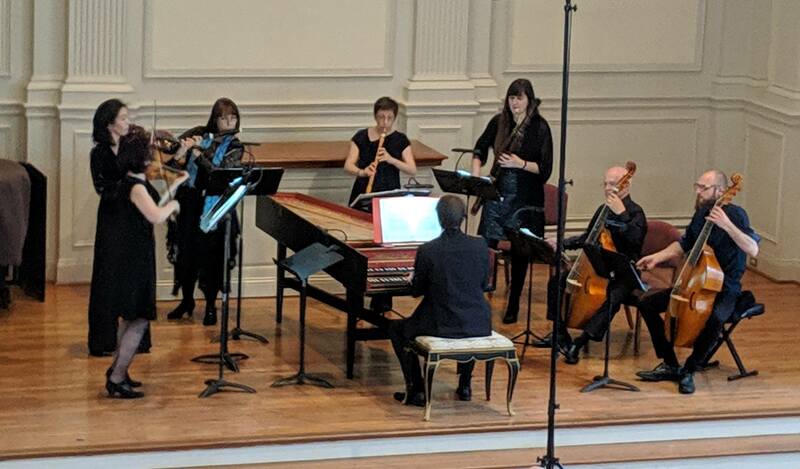 Sunday’s group made some savvy decisions, mingling two trios with a solo piece and ending with probably the best work in the wind chamber music repertoire. 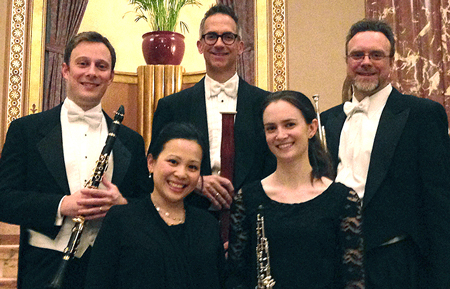 On Sunday, April 27 beginning at 3:00 pm in Pilgrim Congregational Church, Arts Renaissance Tremont presents a concert of chamber music for woodwinds and piano performed by Cleveland Orchestra members Mary Lynch, oboe, Robert Woolfrey, clarinet, Barrick Stees, bassoon and Richard King, horn, with Cicilia Yudha, piano. 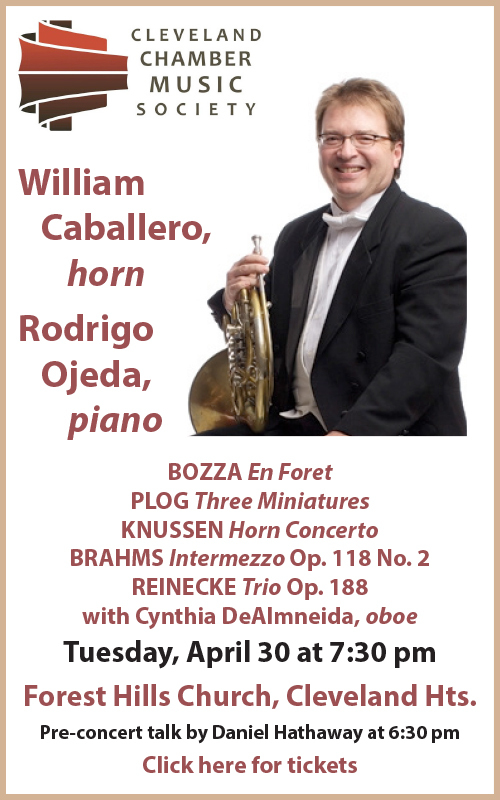 The program includes Oskar Morawetz’s Clarinet Sonata (1981), Heinrich von Herzogenberg’s Trio in D for Oboe, Horn & Piano, op. 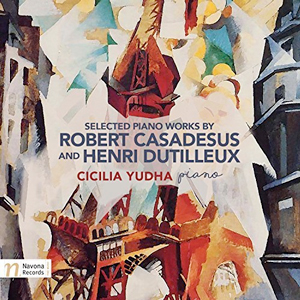 61, Poulenc’s Trio for Oboe, Bassoon & Piano (1926) and Mozart’s Quintet in E-flat for winds and piano, K. 452 (1784). 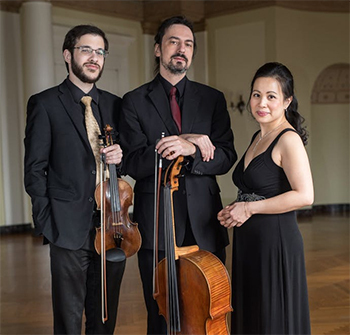 Among the chamber groups that have disbanded and successfully been revived is the Amici Trio, formed in Youngstown in 1980 with violinist John Wilcox, pianist Roman Rudnytsky and Michael Gelfand. The trio disbanded around 2005, but reappeared in 2008 as the New Amici Trio with Gelfand still at the cello position, plus violinist Hristo Popov and pianist Dror Biran. 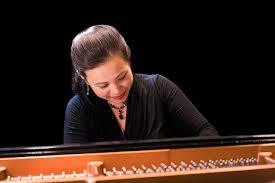 A series of pianists rotated into the trio until Cicilia Yudha joined the Youngstown State University Dana School of Music faculty last August. 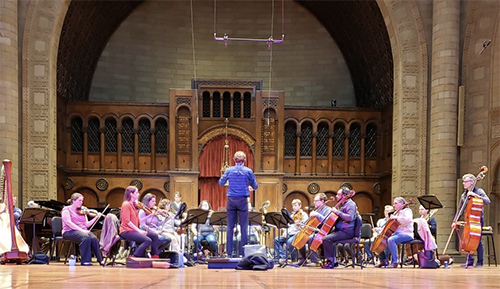 The trio will play the final concert in this season’s Chagrin Valley Chamber Music Series on Sunday, April 21 at 3:00 in Valley Lutheran Church in Chagrin Falls.